Major companies involved in producing virtual reality products are joining to build the Global Virtual Reality Association.The purpose of GVRA is the improvement and recognition of virtual reality technologies throughout the world. Google, Samsung, Sony as well as Acer Starbreeze and also Oculus and HTC Vive are the representatives of GVRA association. These companies are gathered together to involve VR not only in the entertainment field but also in education, medicine and also other fields as well. Director of Immersive Design at Google John Wiley reported at GVRA website that they are eager to work with the businesses who are already involved in VR and share their practice to provide best VR experience. Jordan McCollum, who is Facebook’s General Counsel, considers that this collaboration is an excellent opportunity to overcome all the difficulties to make VR industry more successful. He mentioned that due to this cooperation the members of GVRA can share their ideas to evolve VR. 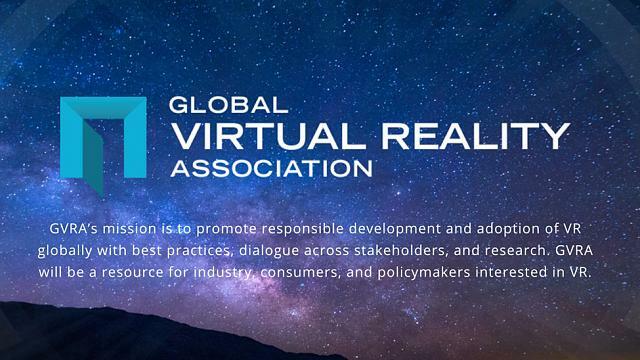 Global Virtual Reality Association members have not provided more details regarding the activity and the development of virtual reality but one thing is for sure they will enhance the worldwide progress of VR utilising all the possible means. The GVRA will provide comprehensive investigation by organising various forums, discussions and also they will produce educational resources for all institutions. The VRStatus will keep the readers up to date regarding the latest news and updates about Global Virtual Reality Association activities and events. He's a rough-and-tumble ex-paramilitary with a drinking problem and an inner-ear condition that makes him immune to motion sickness, she's a brilliant hacker-for-hire whose family was killed when an expiremental head mounted display exploded. VirtuaTyKing, Russell Holly, jsarino and 2 others like this. Like I said on the other thread. This is really important for the industry; we really need to prevent further fragmentation if for any reason so developers don't need to worry about supporting different SDK's. Chemy JMHT and jsarino like this. I laughed a little harder than I think I should have at that. Perhaps this will help push for more cross-platform VR games. With the inclusion of Sony into the group I should hope so. Sony has been hinting at expanding more into the PC gaming market this year in general so this would make sense as well. Increasing support for VR helps fuels its growth even if the platform is not their own it will have an halo effect for people wanting something that works with their existing consoles or don't want to be bothered with PC's. Its interesting also that the group will have the focus of also medicine and education as that could be a large selling point of vr which would hopefully expand the industry. How many episodes do you predict will air before it is cancelled? LOL. I think the idea is just as bad as "Two and a Half Men", so it should have a long and healthy life. What does it say about us that the worst shows get 10-year runs and some of the best are torpedoed after one? VR Try before you buy! Are our bodies ready for VR?